March is National Umbrella Month, and as snow gives way to rain for most of us by then (if not already), we will be very excited to be able to get outside again after a long winter! Don’t miss this opportunity to have a walking advertisement on an umbrella! 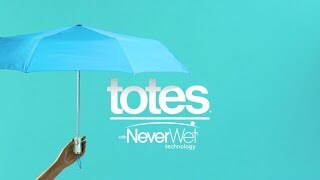 repellency technology that makes the water roll right off the umbrella, keeping it 4 times drier! No more putting a wet umbrella on the car seat, or bringing a wet umbrella into the office.